The Cambridge Technologies Small Business & Municipal Accounting (SBMA) includes programs to process accounts payables and provide financial statements for small municipalities and businesses. Additional available modules include accounts receivables, inventory, and purchase orders. Payroll is available as a standalone module. The program offers features not usually found in traditional accounting programs. These features are of particular interest to small municipalities. Traditional accounting programs are not well suited to work with multiple funds. Programs designed for fund accounting are relatively expensive and may be cost prohibitive for purchase by small municipalities. Multiple checking accounts are supported with the ability to service more than one fund through each account. When checks are printed, invoices (or partial invoices) are paid by the appropriate checking account designated for the fund or group of funds. This feature makes it possible to enter an invoice one time even though it will be paid by more than one checking account. 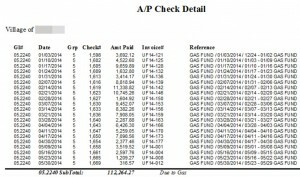 When checks are printed, only those line items associated with the designated checking account will be processed. This feature makes it possible to combine checking accounts while still maintaining separate account balances. Even though multiple funds may be serviced by a single checking account, separate expenditure totals and account balances are maintained for each fund. All of these are generated right out of our program and can either be printed or exported to excel files, pdf’s, or other document types for record keeping. 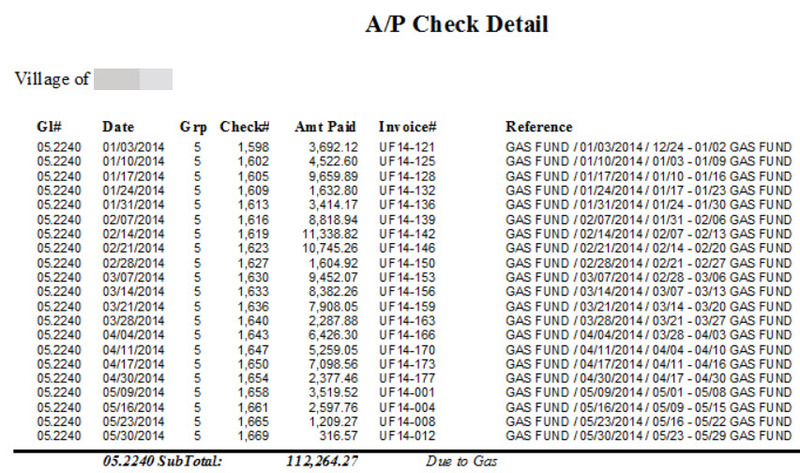 The program has the capability to print checks right out of the program. Always keep track of this information for end of year or auditing purposes. Debit and credit balances are required to be "in balance"
With this tool you will always be on top of debits and credits. If you need to add extra information into the ledger, you will have plenty of space to do it with our journal entries. Depending on your needs, there are detailed versions of our reports and summarized versions. 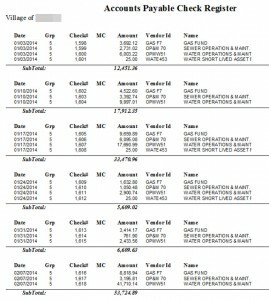 The program easily tracks invoices, payments. and accounts.